The clothing industry employs 25 million people globally contributing to many livelihoods and the prosperity of communities, to women’s independence, and the establishment of significant infrastructures in poorer countries. Yet the fashion industry is also a significant contributor to the degradation of natural systems, with the associated environmental footprint of clothing high in comparison with other products. 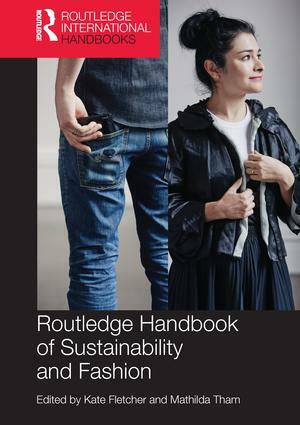 This handbook is a unique resource for a wide range of scholars and students in the social sciences, arts and humanities interested in sustainability and fashion. The new synthetics: could synthetic biology lead to sustainable textile manufacturing?